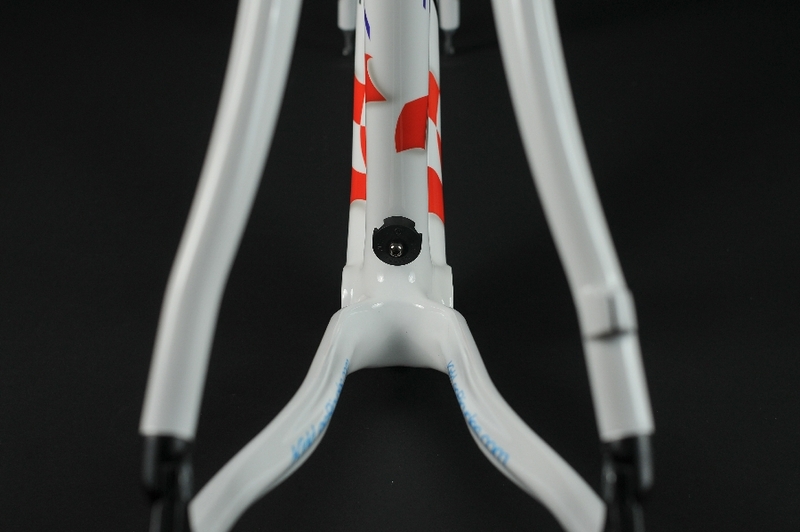 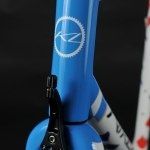 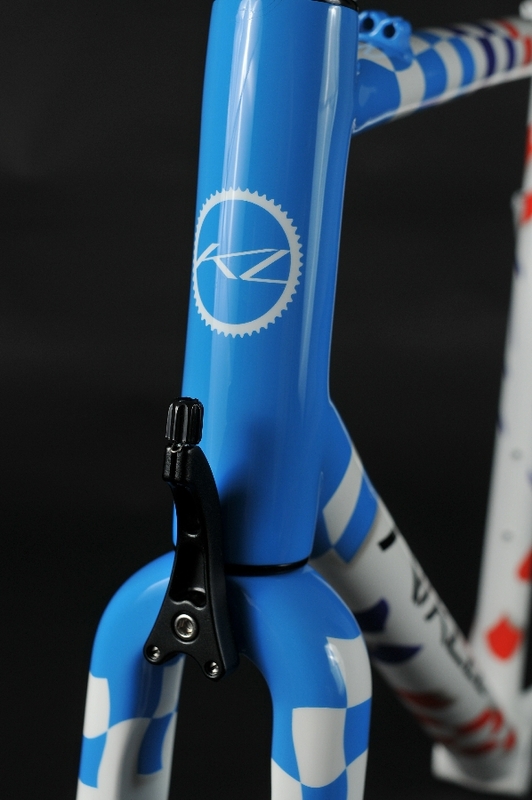 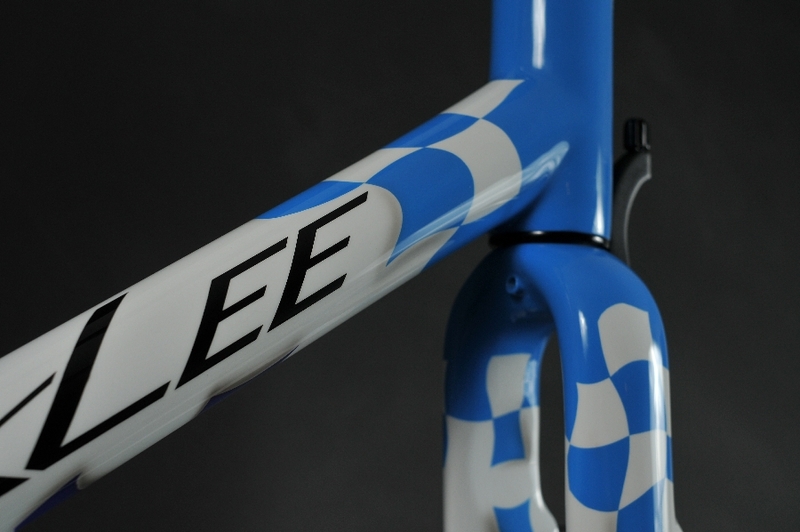 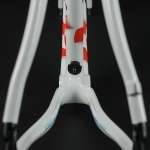 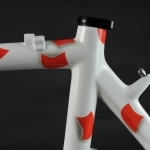 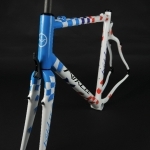 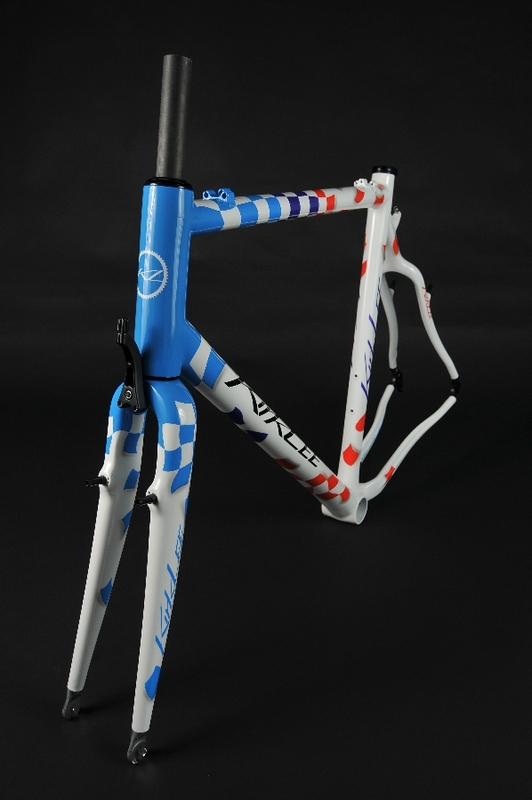 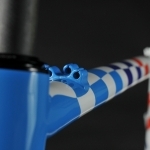 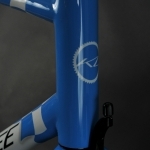 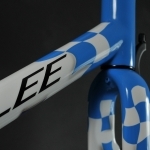 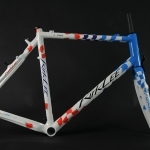 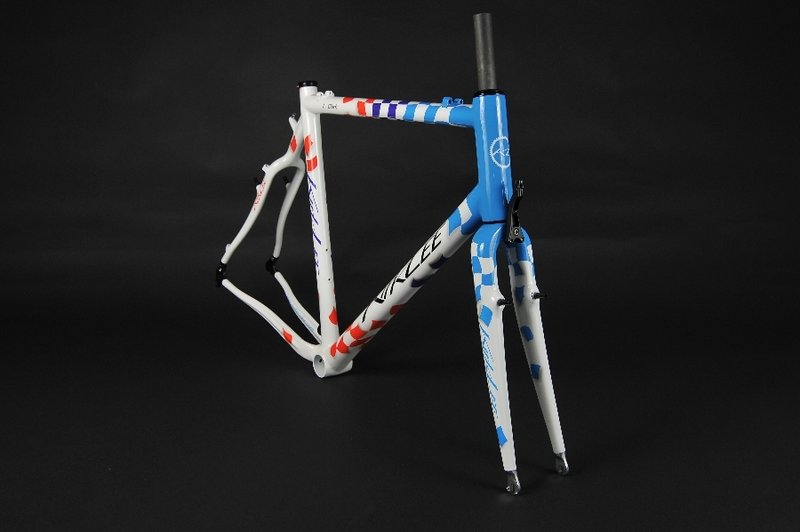 This is KirkLee’s new cyclocross frame; designed with input from 6x Swiss National Cross Champion Christian Heule. 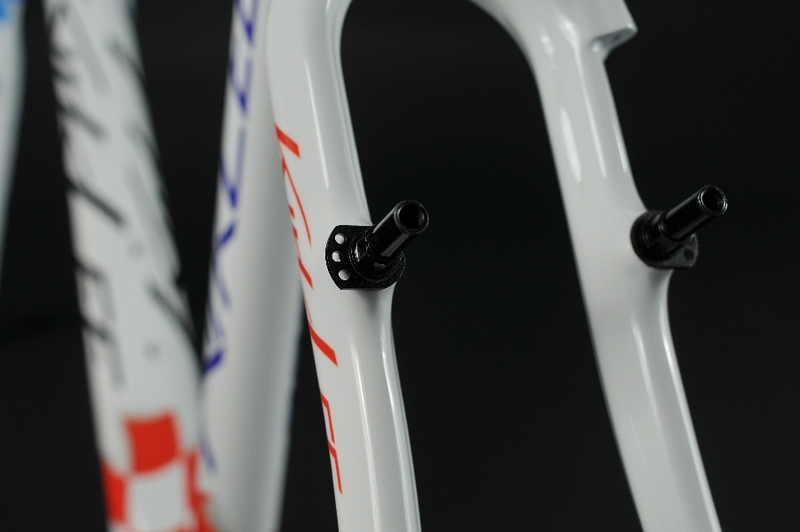 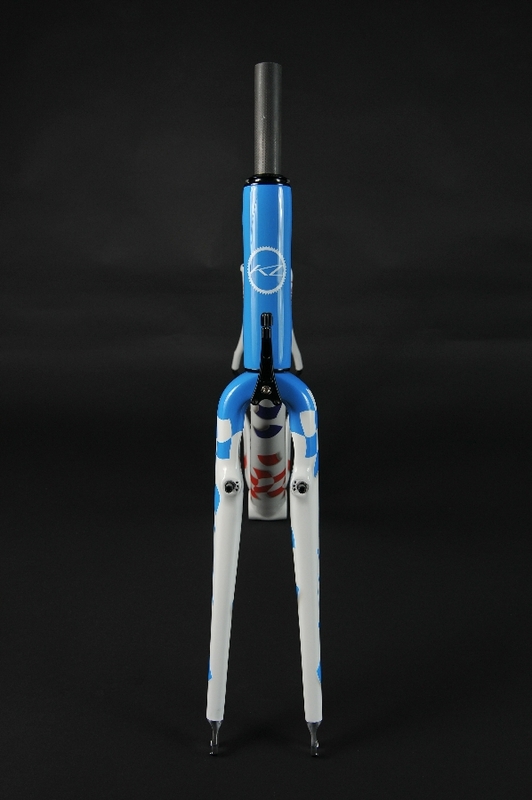 In this frame we wanted a cyclocross bike that rides extremely well and minimizes front brake chatter, which is why this frame has a cable hanger mounted on the fork. 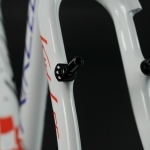 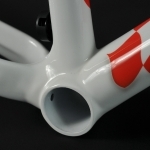 From input we have learned what makes a good cyclocross frame great. 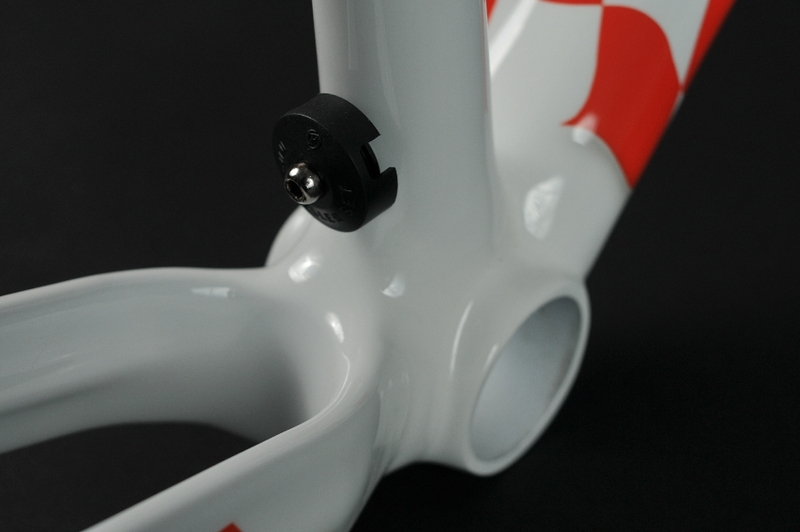 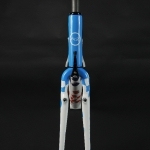 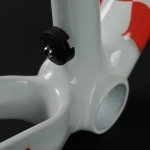 We molded an adjustable rear brake cable hanger out of carbon and Ti that is part of the frame. 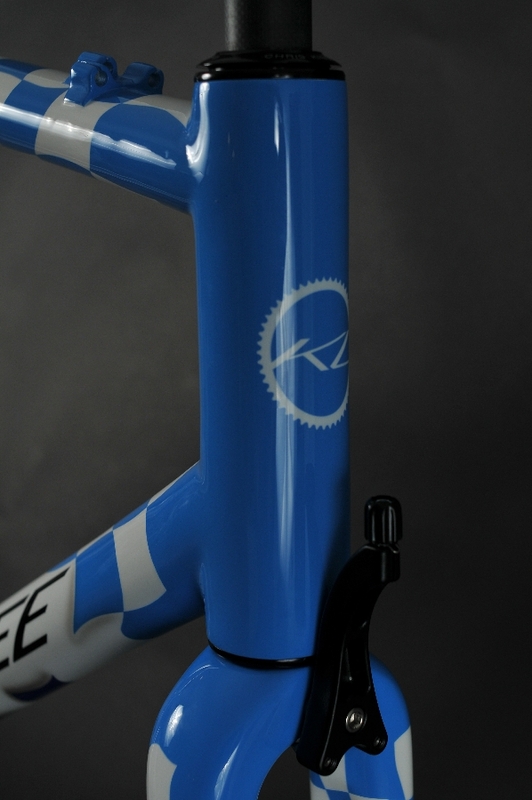 While we have a Di2 version, this frame has 9 of KirkLee’s handmade cable stops which mount on multiple diameter tubes. 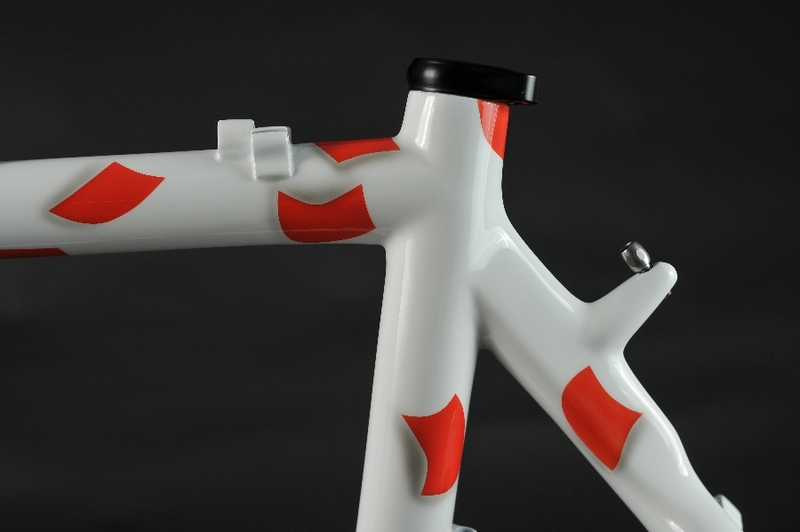 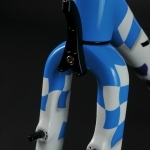 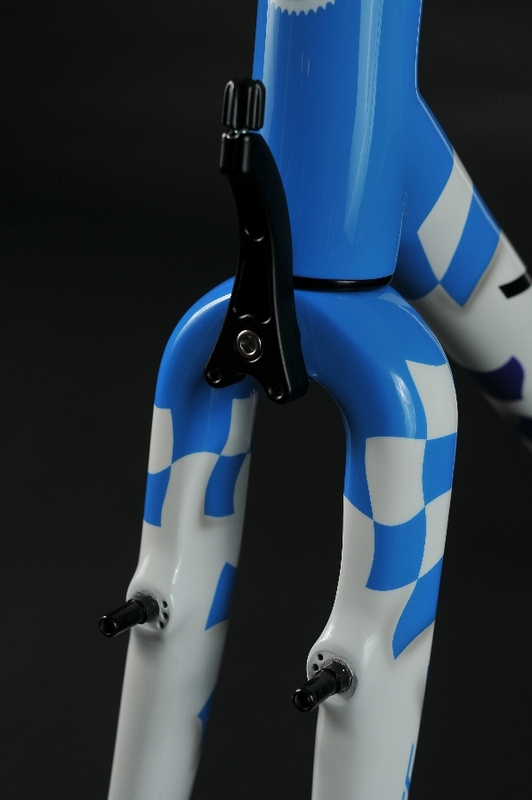 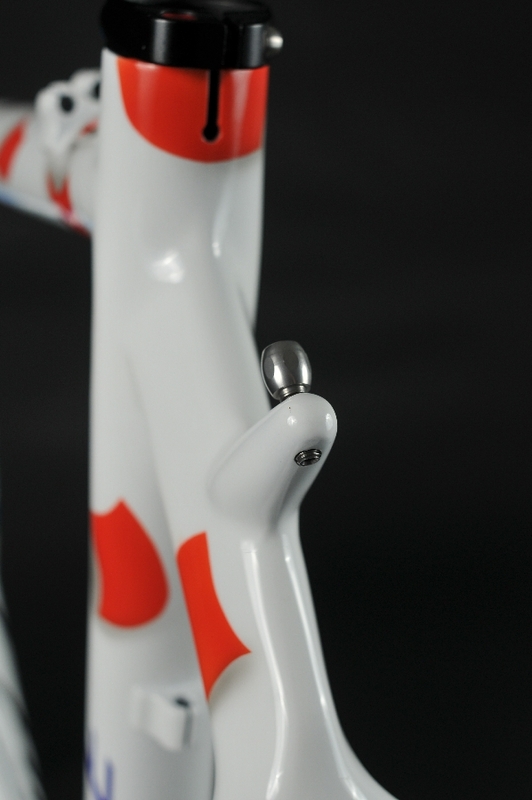 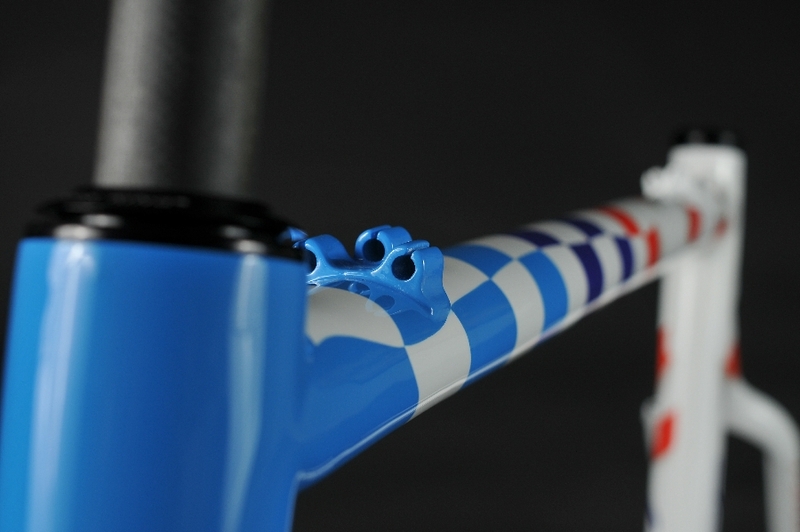 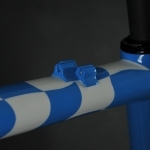 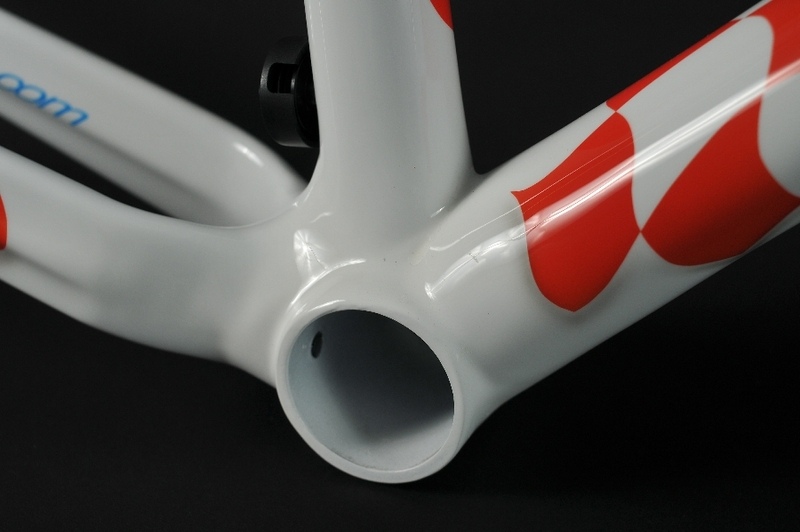 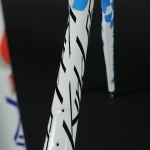 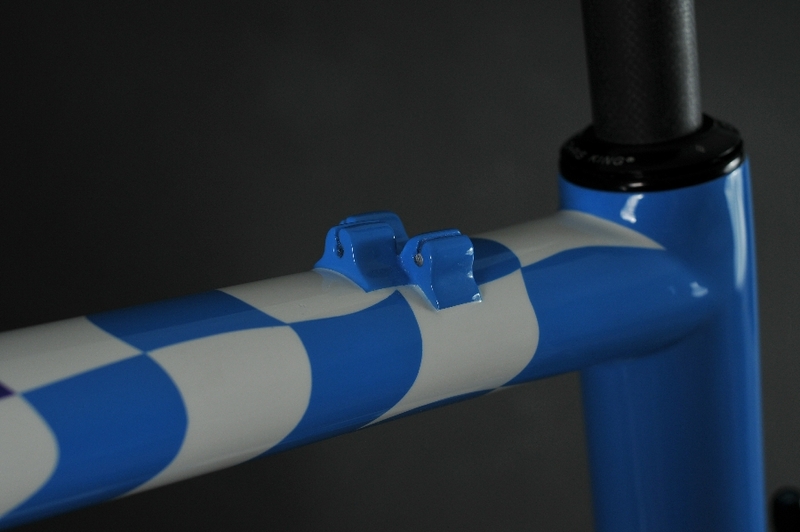 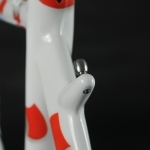 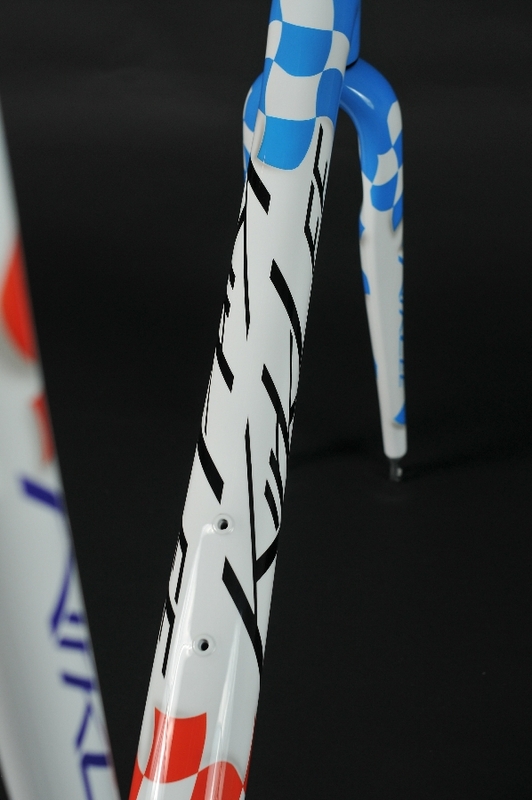 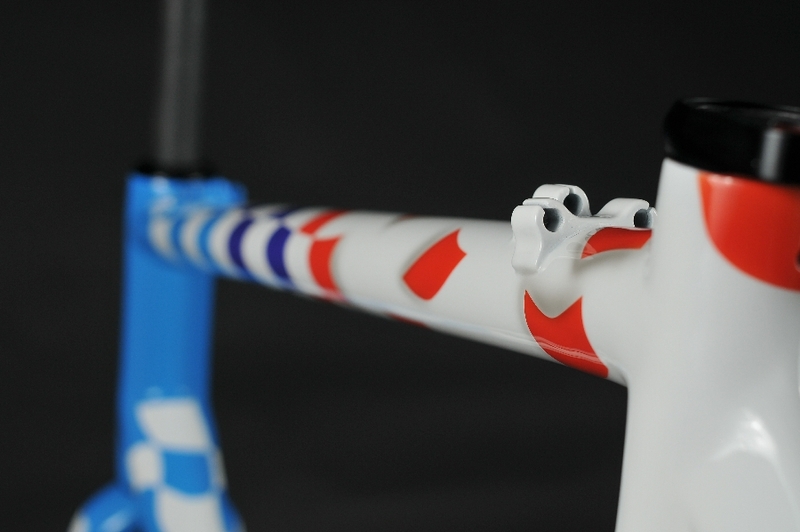 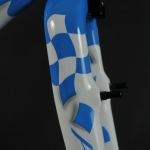 The finish on this frame is a tribute to the BMW race cars of the mid 90’s. 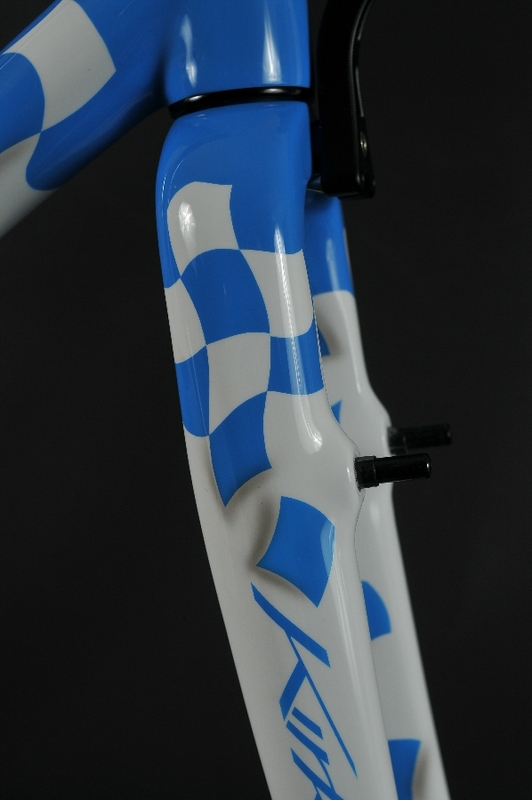 We color matched the factory team colors and applied them in a waving checkered flag whose final checkers are falling down the frame. 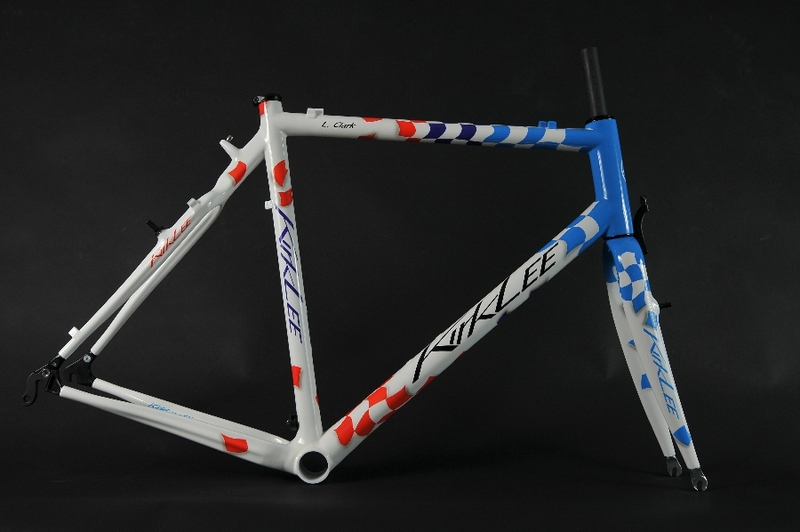 Not many of these frames exist and it is one of the most labor intensive KirkLee’s to date.